Why yes, Jesse is finally home after his travelling nightmare - but all of that drama doesn't make it any less amazing! It still feels surreal that he is home for good - but we are slowly beginning to realise it! His suitcases are packed and everything put away and our family feels whole again. Lately I've realised that often times, the simplest things are the best things. Things like having Jesse there when I fall asleep at night, seeing just how much Chanel loves him, hearing the excitement in friends and family members' voices when I tell them Jesse is finally home for good, being able to say to someone "I'm getting married in October" (yes!! ), to having someone around to fix things and finally being able to plan things we just haven't been able to do before. All of these things are the reason for the huge, dorky smile that has been plastered on my face the last couple of days - and I am taking the time each day to be grateful for everything that I have - even when I am awake at 5am in the morning making Jesse breakfast and lunch for work (dedication). And you know what? The same goes for recipes. 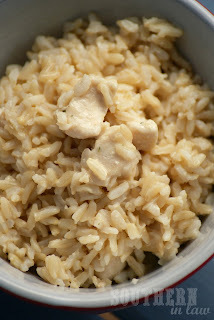 Sometimes the simplest recipes are incredibly delicious - and this Cheesy Chicken Rice recipe is one of those. This was a dish I just randomly threw together one night when we were in a rush for dinner - and it turned out to be a huge success. It's one of Jesse's favourites dinner and takes less than 15 minutes to put together. Before Jesse left Australia, I actually made him this and packed it up for him to take on the plane (because we all know plane food is all kinds of nasty). 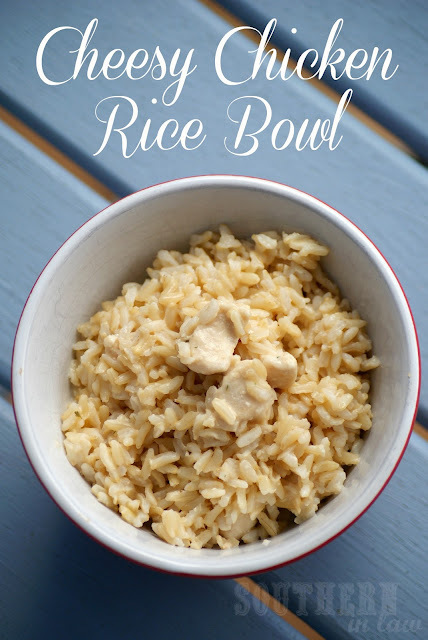 It's perfect for using up leftover rice, is kid friendly and can be eaten for lunch or dinner! This is actually something I plan on making Jesse for work lunches over winter (kept in a thermos container to keep it warm) as it keeps really well. In a small saucepan*, lightly sprayed with oil, saute the chicken with the garlic salt until cooked through. Add the cream cheese, parmesan cheese and pepper - adding enough liquid to make a sauce. 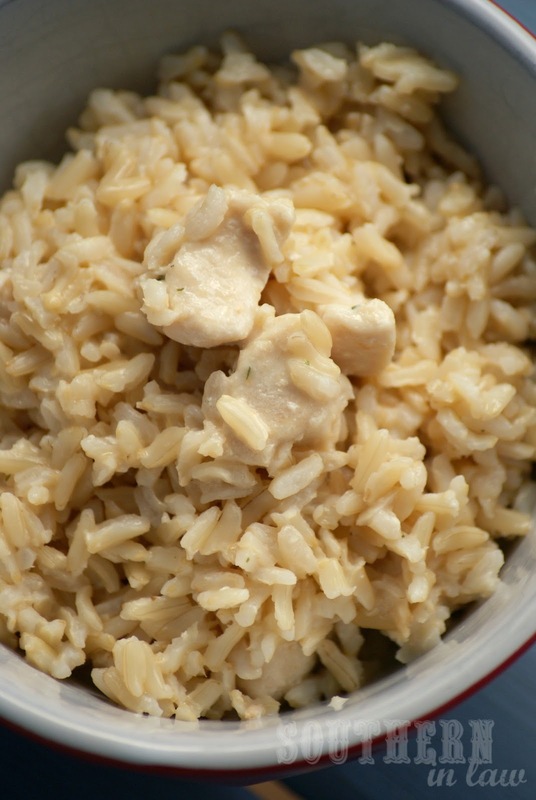 Once your cheeses have melted and you have a sauce, add in the brown rice. Stir everything until the sauce coats the rice and the rice mixture has warmed through. *Sounds odd, but saves on cleaning up! If you prefer, use a fry pan or whatever else you fancy. So tell me - what's something simple you're thankful for? Or, what's your favourite simple but so good recipe? 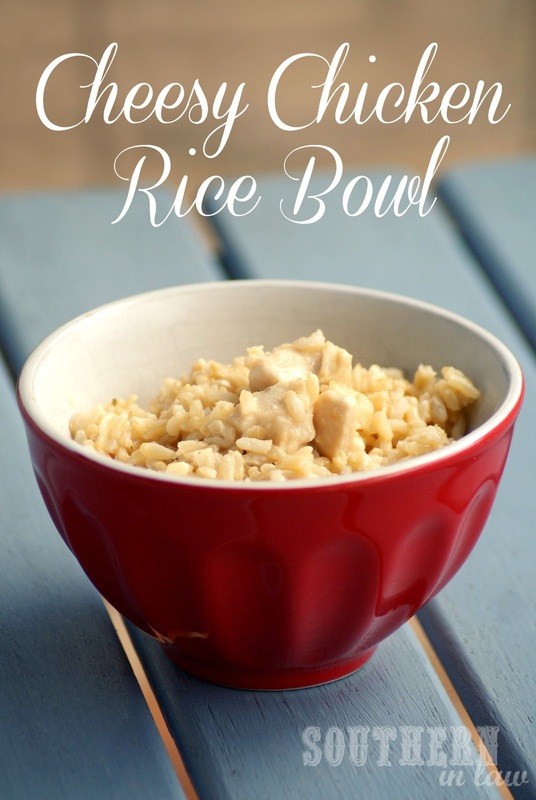 And, that's such a great idea for using some leftover rice (or quinoa). It looks yummy! Great recipe! Mine is also a simple dish with rice - i cut up as many veggies as i can (usually carrot, pumpkin, zucchini, capsicum and sweet potato) and roast in the oven with salt and pepper. Steam some broccoli and peas, combine all at the end with cooked rice and olive oil (and sometimes pineapple) to make a gorgeous dish that's ready in half an hour with ingredients you usually have in the fridge. woah two cheesey posts in a row! go you! It's always cheesy in the SIL house ;P It is a SUPER yay! !